Audi A3 is a car in which many people have fall in love with thanks to its compact size and elegant lines. No doubt that’s successful also with help of great engines made by VW Group. Audi A3 was in production since 1996 and it was built on a platform of 4the generation VW Golf. Many engines have been installed in here but the most popular was turbocharged 1.8T engines producing 110kW, but also less powerful but economical turbo diesels. The 1.8T engine passed some enhancements in 1996 that resulted in 180hp (132kW) of power and even 220hp in Audi S3 model with all-wheel drive. Also the turbo diesel obtained a new PD technology and VGT to achieve 96kw (130hp). The same engine was used in sporting Skoda Fabia RS. But this is now a part of history. In 2003, the second generation was introduced in Autosalon Geneva, now with more aggressive shapes attracting younger people. Design of this generation was born by hands of perfect designer Walter de'Silva. But not only visual changes happened. Under the hood we can find new powerful engines – 2.0 liter turbocharged TFSi offering 147kW (200hp) and 3.2 liter V6 power-plant with 184kW (250hp). Quattro system with semi-automatic transmission is optional with all engines above 140hp and it’s only option for the 3.2 V6. 2004 Audi A3 Sportback version was introduced in June 2004. It has same mask as the biggest and most powerful 2004 Audi A8 W12. Next important milestone for the Audi A3 was the year 2006. 2006 Audi A3 obtained a new two-liter turbo diesel producing 125kW (170hp) in April and the 2006 Audi S3’s TFSI achieved more power (final 195kW/265hp) in August because of bigger pressure of turbocharger – 1.2 bars cooperating with a 6-speed transmission and AWD. This bunch of power and Quattro drive can shoot the second generation of Audi S3 to 100kmph in 5.7 seconds and it’s about 25mm lower than ordinary A3. Also this year is the year of change. A naturally aspirated 2.0 liter FSi engine is replaced by turbocharged 1.8 TFSI engine. The aggregate produces 118kW (160hp) and it’s available only with front-wheel drive. And 2007 Audi A3 can be also proud of its 2.0 TFSI engine as the engine of the year 2007. Because of the Audi A3 with its design and powerful engines attracts especially younger drivers, it’s also a target of many tuners, like today’s German Kerschner. So the little Audi A3 passed some training. Her muscles are now more visible thanks to the front bumper with three big openings for additional cooling. There’s a nice lip under it. We have to say that we’re really surprised by side sills. We’ve never seen side sills like these ones – made easily with sense for pure, not distorted design. And when we’re talking about our subjective impressions – the designers from Falkenber should use this sense also in case of the rear bumper, so a little bit more retiring. But it’s our subjective opinion, so maybe you enjoy this bumper. On its sides we can see blind openings imitating off-take spots. Overall, this bodykit looks really good, from the front to the back, it continues in one line and visually decreases whole car made by Kerscher. If you’re not enough satisfied, you can buy also Kerscher‘s eyebrows, exhaust-tips, unique rims and many more to have your car completely equipped. 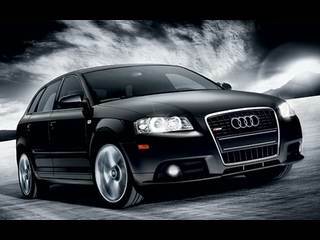 What si your opinion about 2007 Audi A3 modified by Kerscher?